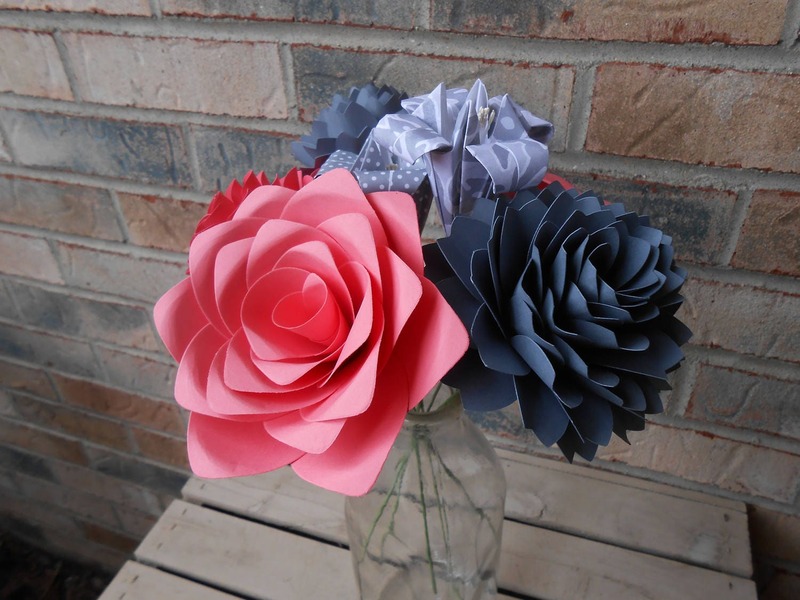 This bouquet can be made from whatever colors you want. 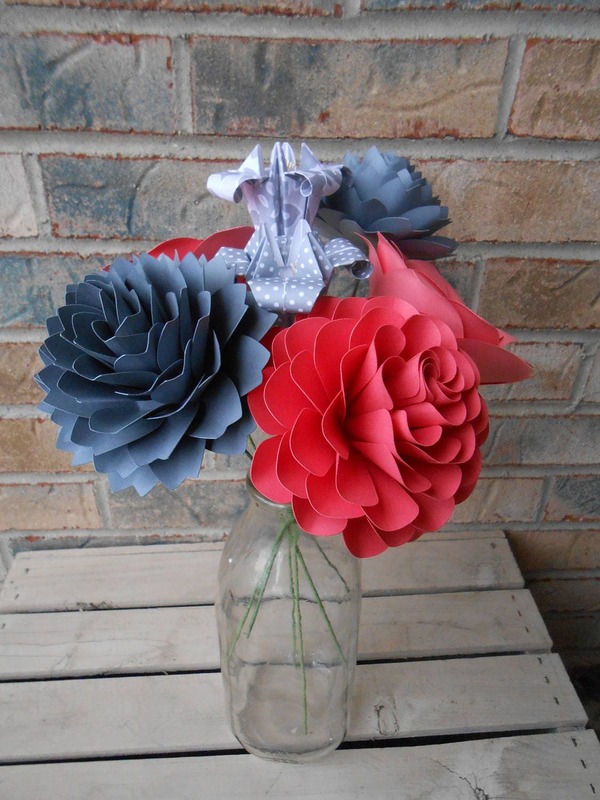 These make great decorations for a wedding centerpiece, a home or office, or even a kid's room! 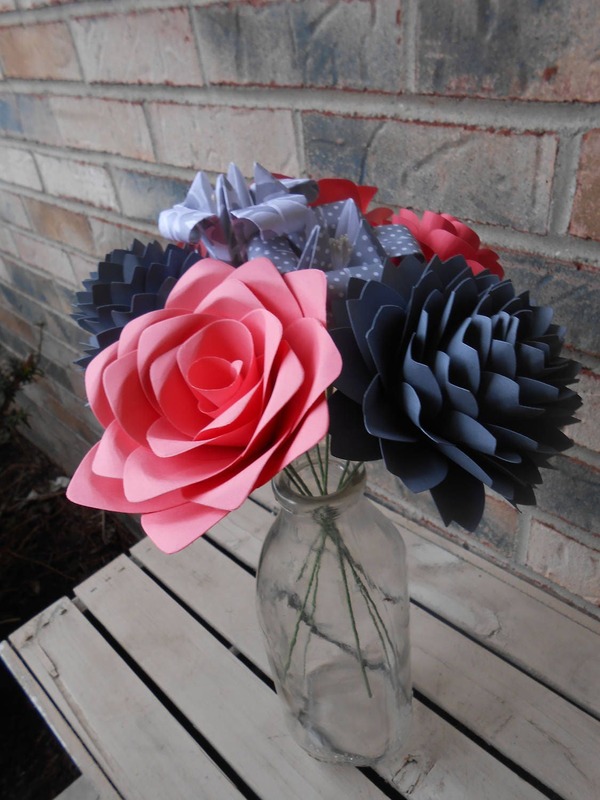 Give them as a gift to that special someone in your life. These make awesome first anniversary gifts. (The first anniversary gift is "paper"). 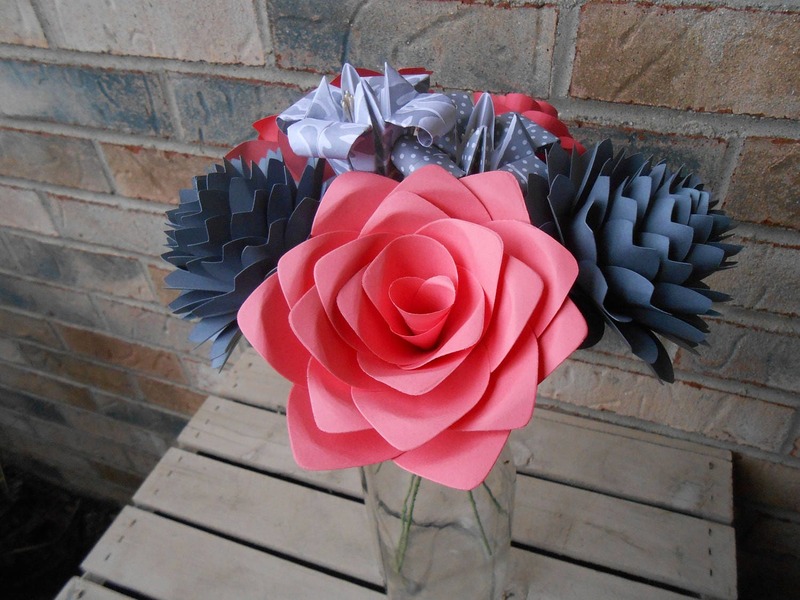 Each flower is carefully assembled by hand from a thick cardstock. 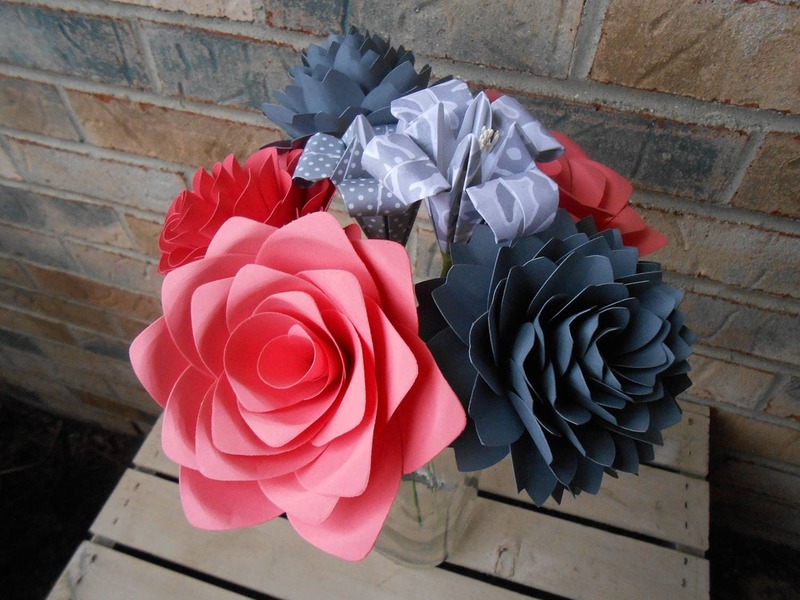 This bouquet contains 8 flowers: roses, mums, dahlias, and lilies. They are put on flexible stems that are wrapped in green. They range from 3" to 4" across. Please allow me a few days to assemble one of these.